Linux’s capacity for configuration is exceptional — while it’s pretty known that you can configure it to however you like (such as with SUSE Studio Create Your Own Custom Linux Installation Disc With SUSE Studio Create Your Own Custom Linux Installation Disc With SUSE Studio We all know that Linux is very flexible, and you can do so many things with it. One of its advantages is that it can run on virtually any hardware. Linux is also extremely modular,... Read More ), that capacity isn’t limited to just the selection of used software (ranging everywhere from the graphics stack to the desktop environment to the office suite). In fact, one of the great benefits of Linux’s flexible nature is that you can put the software on any computer imaginable, from high-powered supercomputers to netbooks to embedded systems such as aircraft entertainment systems. In order to get Linux on such low-powered systems, the software needs to be as lean as possible. And if you’re looking for a lean distribution of your own, Tiny Core Linux may be a winner. Tiny Core Linux, is — well — tiny. When you land on their download page, you’ll be presented with three different download options. The biggest is just 64MB, and the smallest is a minuscule 8MB. How the developers can shrink a functional system to that size is beyond me (well, besides some clever software choices), but they’ve certainly done it efficiently. For testing purposes, I went ahead and downloaded the biggest option as the smallest one provides nothing more than a command line and a few extensions you can enable. When you boot up the “Core Plus” image, you’re given a number of different choices — various desktop environments as well as more limited setups. I picked what was most familiar, which was the “Core Plus” setup with the Openbox desktop environment. After a second or two of loading, I was ready to go with a Tiny Core desktop with Openbox. Of course, as one might expect from such a tiny distribution, there isn’t a whole lot that’s exciting about using Tiny Core. The desktop is very bare — besides a little dock along the bottom, there are no signs of a present interface. Menus are launched by right-clicking in empty desktop space, which presents a list of installed applications (called extensions under Tiny Core) and a way to access Openbox’s settings. This experience changes depending on which desktop environment you choose to boot from, but you can’t expect anything more than a pretty bare desktop and relatively ugly-looking applications. The distribution does come with a few tools to make it a little more functional. With “Core Plus” you can connect to a Wi-Fi network, and there is also an application which can download and install extensions from “remote” mirrors. After searching for the fastest mirror, you can choose from a decent sized list of software to install. Sadly, this is one master list in alphabetical order, so it will take some time to scroll to find the application you’re wanting to install. Thankfully, the package manager will download the chosen application along with all necessary dependencies, so besides a lack of visual flair while installing applications, the same principles as in larger distributions still apply. To test out Tiny Core’s package manager, I went ahead and installed Abiword Abiword Is the Best Free Lightweight Word Processor Abiword Is the Best Free Lightweight Word Processor Get a lightweight but not underpowered word processor. If you need a program compatible with a wide variety of file formats, Abiword might be the right fit for you. It's not as powerful as Microsoft... Read More by clicking on Apps, choosing Cloud (Remote) –> Browse, selecting abiword-2.8.tcz from the list, and choosing “OnDemand” from the dropdown menu below that, and hitting Go. After it downloaded the software and its dependencies, I was able to launch Abiword from the right-click menu provided by Openbox, under “OnDemand”. Those who actually enjoy Tiny Core, or simply find it resource-efficient enough for their system, can install it by running the distribution launching the included installer from the live environment. 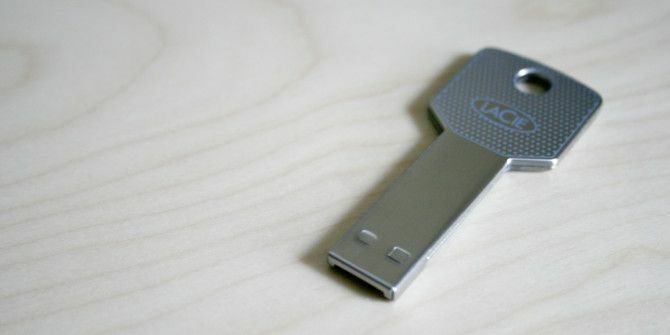 The installer aims at putting Tiny Core on a pendrive, but you should still be able to install it on an actual hard drive if you choose to do so. 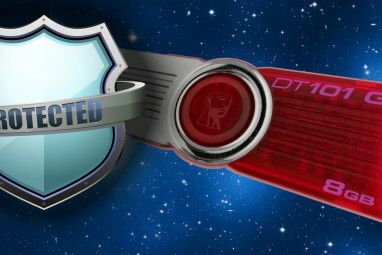 There are even options to install to specific partitions or the entire drive, as well as an option to install a bootloader – note that dual booting might prove complex. While Tiny Core Linux definitely isn’t for everyone, it’s an excellent tool for people who have very specific needs pertaining to low-powered systems. Additionally, it can be a fantastic distribution choice as an operating system to carry in your pocket, as it’s very easy to boot, resource-efficient, and contains all of your own programs and settings. While the other popular “tiny” version of Linux has long been Damn Small Linux, there hasn’t been a lot of active development on that project. Instead, in order to keep up with newer software and security fixes, it’s best to choose an actively developed tiny distribution. Also, Puppy Linux Everything You Ever Wanted To Know About Puppy Linux Everything You Ever Wanted To Know About Puppy Linux Here, we'll be taking a look at a distribution of Linux that is famous for being able to run with very little hardware requirements, Puppy Linux. Puppy Linux isn't based on another distribution; it is... Read More just doesn’t come quite as small as Tiny Core Linux. Are tiny Linux distributions useful for you? What interesting things have you done with them? Let us know in the comments! 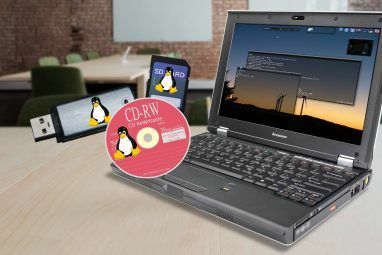 Explore more about: Linux Distro, Live CD, USB Drive. mulinux is much smaller, the base system is 1.4-1.7 megabytes, And you can run it from a pre existing OS (like another linux), and it has additional packages for other stuff like the X window system. And can be used on very old hardware. Hi Mr. Danny Stieben. I would like to ask if TCL is good for people who want to explore on how to create an OS? - kernel version, mesa version, gcc and glibc versions in use, compared to current one. - memory footprint after default install. - memory footprint after launching firefox and abiword. - any own interesting approaches to system tuning, configuration update etc. - what components are in use? Pulse, systemd, udev+inits, old hal or plain manual scripting/cron-polling? 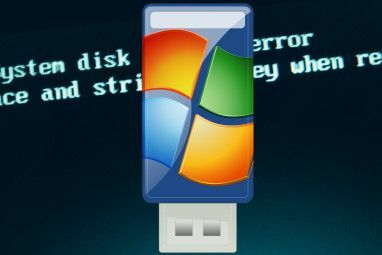 If I want to dual boot tinycore with window 8 then how can I do it ? How big are the TinyCore repositories? Do they contain enough packages to build up a full blown distro (or a reasonable facsimile thereof) or do they just contain the bare necessities? antiX Core, for comparison, can draw packages from of all the Debian's repositories (Stable, Unstable, Testing and Experimental) allowing the user to build a distro of any complexity, from a bare-bones CLI-only one to one that has everything, including the proverbial kitchen sink. The package list was decently sized. It takes a while to find a package that you want because moving the scroll bar just a tiny bit will probably zoom you past the package you actually want. I doubt the repositories are Ubuntu-sized, but they're certainly respectable. Version 5 of Tiny Core, currently available in open beta, provides access to the full Debian repository. I've been running it on a Cubieboard (an Allwinner A10 ARM board), and almost every Debian package I've installed works, though often with some extra configuration required. Incidentally, I think Tiny Core's RAM-based file system is very well suited to ARM-based boards. OpenBox on a Raspberry Pi runs silky smooth, and most software runs noticeably faster than on Raspian. It makes the Pi usable as a desktop PC. why not giveaway or reward for 2000 points ? MenuetOS and KolibriOS are smaller. Yes, but that´s because they're programmed in assembly. They try to make things simple, but neither KolibriOS nor MenuetOS can compare to Tiny Core Linux, in terms of functionality. Interesting project. I notice that it's not Linux-based but a completely separate OS. I wonder if you guys have tried SliTaz. That's a really nicely done distro. Much nicer to the new comers to Linux and with a larger software repository. Of course, just as Tiny Core Linux, it's rather useful for light-weight PC usage but you can actually do a lot with it, even if it's not on par with high-profile all-purpose distros. I'll take a look at it, thanks! Peppermint OS is proving useful for me. I had too many installation problems with Mint, Porteous Kiosk installation was too complicated, and I just could not get used to the TinyCore desktop. If it's a new laptop, you can safely use a regular Linux distro, not necessarily a light-weight one. Linux Mint Debian Edition (LMDE) has a traditional user interface and it's quite light on resources, while it benefits the stability of Debian software and the staging repositories of the Linux Mint developers. I'd probably recommend Ubuntu or Linux Mint. They're just the easiest distributions to get into. Great mid-weight contender. Boots faster than any other distro other than Slax. what about dsl (damn small linux) ? Even Slitaz (arount 35MB) is smaller than DSL (50MB). Like I mentioned in the article, DSL hasn't been worked on in years. Also, it's still bigger than Tiny Core or Slitaz.